Finally seeing some summer action here in Copenhagen. The joy of summer ! i like your blog, but you never show anyone with helmets. splattered brains aint "cyclechic"
Splattered brains aren't cyclechic at all. Helmets neither. 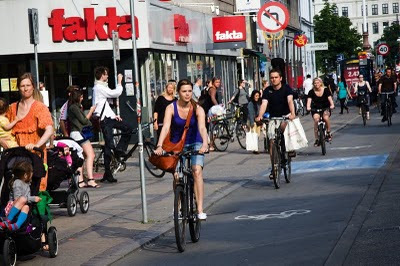 There are far better ways to improve safety in a city than to make people wear helmets.